FireWorks need not compete with core curriculum for classroom time. Instead, it can help teachers cover core concepts and improve student skills by using hands-on materials based on science from their own local area. To help teachers identify the ways in which FireWorks can be used to meet their curriculum requirements, each activity is linked to educational standards. C3 Framework: College, Career and Civic Life for Social Studies State Standards (C3 SSSS) . Each lesson has been correlated to the relevant standards. 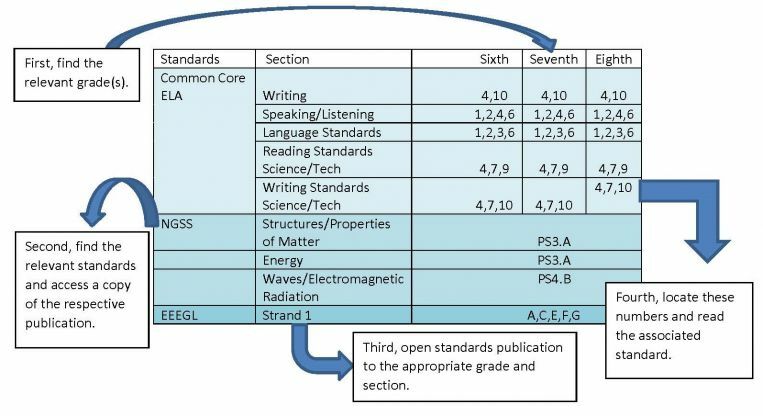 If a lesson does not have standards listed from a particular standard framework, then it probably does not meet standards in that framework. However, teachers are encouraged to reinterpret standards and lessons and also to adapt lessons to meet their educational objectives and particular standards.